Product prices and availability are accurate as of 2019-04-18 20:54:47 UTC and are subject to change. Any price and availability information displayed on http://www.amazon.com/ at the time of purchase will apply to the purchase of this product. 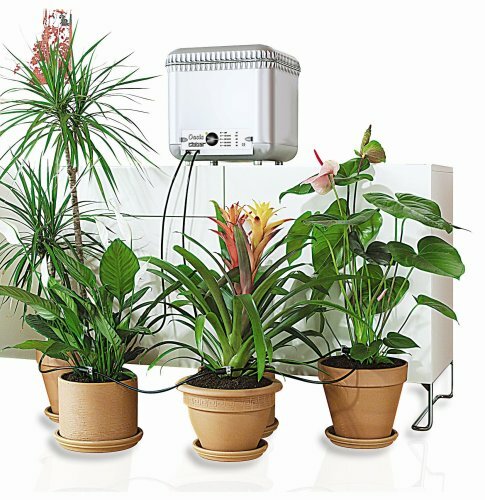 The award-winning Oasis system offers a practical, elegant solution for watering plants. View larger. A single, easy-to-understand control panel directs the entire system. View larger. Features include a low-battery indicator light and water-saving bi-stable solenoid valve. View larger. 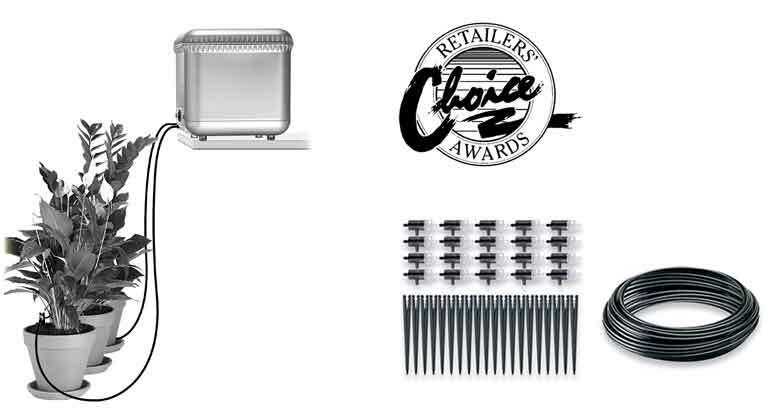 The Oasis Automatic Drip Watering System received top honors at the 2007 National Hardware Show and was recognized as the Product of the Year by Hardware Retailing magazine. The system's water distribution tank avoids the problem of leaky faucets, helping to conserve water and prevent moisture damage. 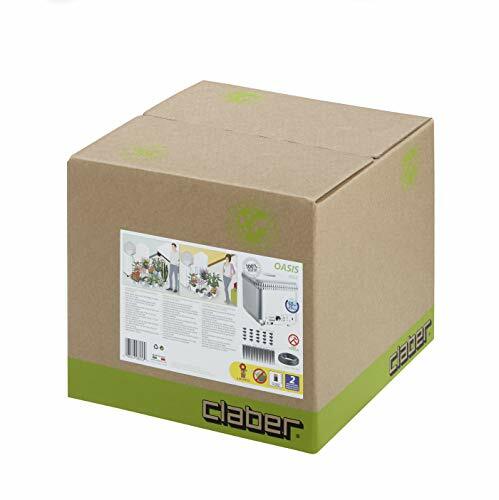 And because Oasis is powered by a single 9V battery that provides enough power to operate the system for up to one year, it helps you save money on electricity bills. 20 drippers deliver water to your plants when you're away. View larger. 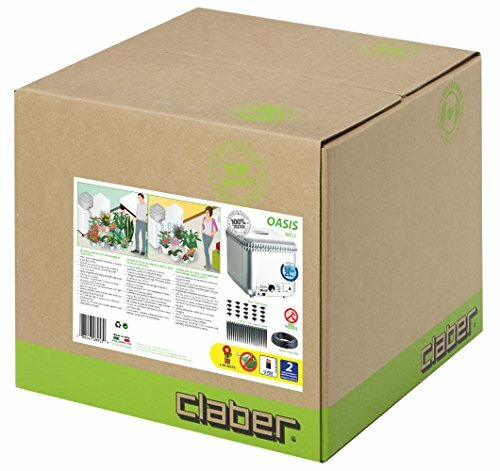 The Claber Oasis Automatic Drip Watering System is easy to install right out of the box--setup takes just minutes. And with its intuitive design that features a single set of controls, the Oasis is a snap to use. 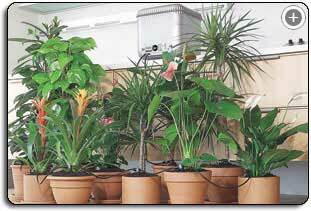 Simply place the unit on a sturdy surface that's at least 2-1/2 feet above your tallest pot, insert a 9V battery (not included), install the system's distribution hose and drippers, fill the tank with water and choose your program. It's that easy! An added bonus, an LED signals when the Oasis is in operation or when the battery is low, so you never have to worry about your plants going without the water they need. One 9V battery will power your system for an entire year. The distribution tank has a capacity of 6.6 gallons and features four convenient watering programs: 10, 20, 30, and 40 days. Each program is designed to deliver a perfectly calibrated amount of water to as many as 20 plants, so you can stop worrying about over- or under-watering. 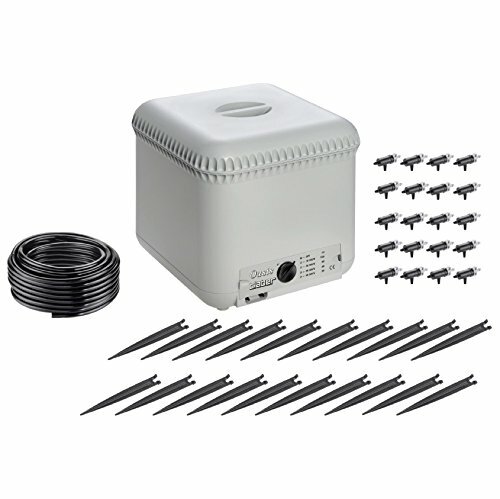 And with a built-in electronic timer and water-saving bi-stable solenoid valve, this unique watering system guarantees efficient delivery of water each and every time you use it. The Oasis precisely measures water to suit your specific needs. Each program waters twice per day, and the amount of water is equally distributed to your plants. 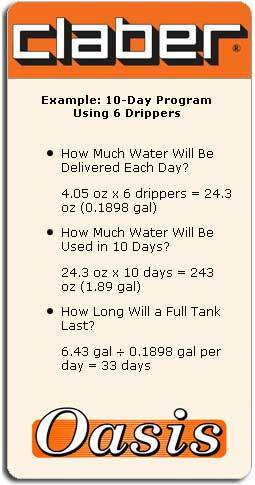 The 10-day program delivers 4.05 ounces of water per dripper per day; the 20-day program delivers 2.02 ounces of water per dripper per day; the 30-day program delivers 1.35 ounces of water per dripper per day; and the 40-day program delivers 1.01 ounces of water per dripper per day. Generally speaking, one dripper is sufficient for small and medium plants; two drippers are recommended for larger plants. Cleaning the Oasis takes just minutes: simply wipe all of the parts with a damp rag and let dry. The internal water filter can also be treated with a mixture of water and distilled vinegar to eliminate any lime scale. The Oasis Self-Watering System's small profile allows for easy storage in a closet or cabinet. 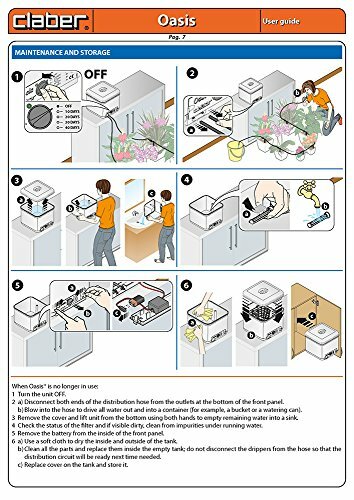 Preparing the unit for storage is simple: just remove the battery, drain the water from the tank and hose, clean, dry, and store. The Oasis Automatic Drip Watering System's attractive, modern styling fits well with any décor, and its soft rubber feet keep it secure on any surface and eliminate scratching. 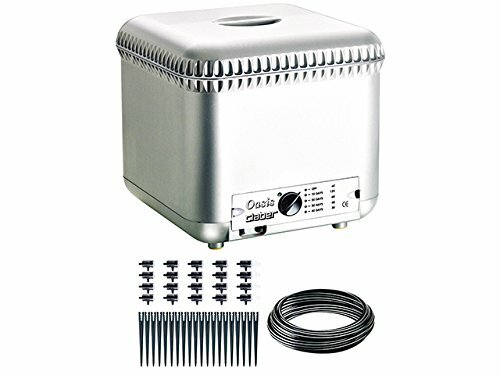 To ensure long-lasting use, the Oasis features high-quality materials and construction and is backed by a 2-year warranty.